The testimonials keep coming in, and they’re so much more compelling than anything we could say about the Secondary School Shakespeare Festival. Thank you, festival friends! And happy reading, teachers everywhere! I am an 8th grader at Center City Public Charter School. My class performed the play A Midsummer Night’s Dream by William Shakespeare. From our teachers we learned that Shakespeare was a poet and he wrote plays that were performed on stage in his theatre. We also learned vocabulary of Shakespeare to prepare us for our performance. I honestly enjoyed our performance at the Folger Theatre. Practicing our lines made us learn responsibility, which helped us succeed. When we remembered our lines we became proud and started to use emotion and come into character. I played Demetrius, a male character, and I am female. I wanted to play a male because it was more of a challenge than playing a woman. Also, I know that in Shakespeare’s time men had to play women because it was considered immoral for people to watch women perform. I had fun playing Shakespeare games in between plays and watching other schools perform. We were the youngest of the group, being in middle school. We saw how advanced and devoted to character the other schools were and felt proud for getting recognized for our first performance. There is something so very powerful in words. They have the power to build and in the wrong mouths, the power to destroy. In the glorious Folger Theatre, the words of Shakespeare took on life and power of their own. 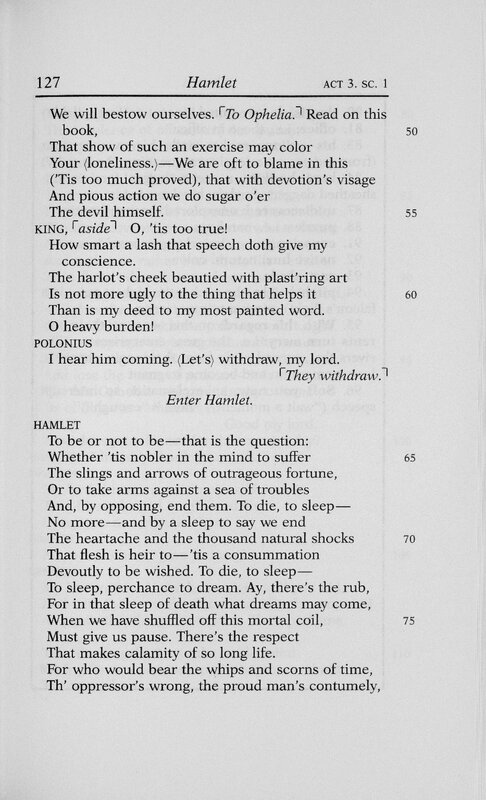 In the mouths of over a hundred high school students the immortal lines of Shakespeare were fresh and new. The talented students from Catoctin High School and Sherwood High School breathed a fresh life into familiar characters such as Macbeth and Caliban. Montgomery Blair High treated us all to a lovely interpretation of Pericles – not read by many adults, let alone 15-year-olds! Queen Elizabeth School delighted us all by performing a lively retelling of Comedy of Errors – with actual twins! The Mistress of the Revels and the team around her made everyone feel loved, welcomed, and well cared for. But the most powerful words all day were the words the students shared with one another. Students shouted and cheered for peers. Students critiqued one another with generosity and grace. The power of kind words reigned. By the end of the day everyone had made a hundred new friends. Emails were exchanged, selfies (groupies) were taken, and hugs were given freely and eagerly. It was a magical day where words were celebrated and we all were blessed to have been there. Hey, everyone! Since you can’t be here for the Secondary School Shakespeare Festival, we thought we’d share some glimpses into all this magic. Here’s what our fabulous Festival-goers have to say about their time with Shakespeare’s language and one another. 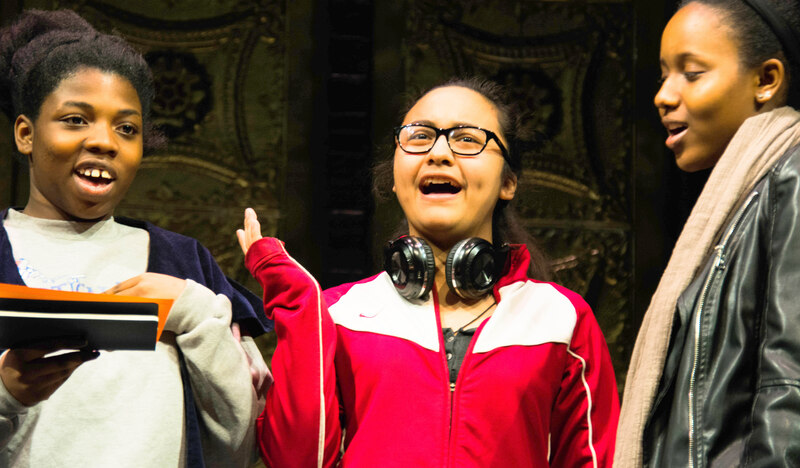 Thanks again, students and teachers, for bringing your talents and energy to the Folger. We love learning with you! Greetings from our 34th Secondary School Shakespeare Festival! It’s day two, and we’re just loving everyone’s joy, courage, and passion for language. Festival-goers are making friends and memories all over the place. And we at Folger Education are convinced that we’re the luckiest people on earth: we get to watch inspiring young people perform and transform all kinds of scenes—a bloodthirsty Romeo and Juliet, a cleverly cartoonish Comedy of Errors, an artistic Pericles, a haunting and timely Julius Caesar… What powerful reminders of the enduring relevance of Shakespeare. Make It Alien: That’s right, go Jabberwocky on it. Students are familiar with “To be or not to be,” but they have never seen “Iz fi o nit iz fi.” The benefit here is having students analyze the relationships between the words without the intimidation of the unfamiliar language. Make It Comparative: As master teacher and author Mike LoMonico would say, if you are going to teach Shakespeare, teach Shakespeare. But “modern translations” have their place, in very small doses and with very specific purposes. One of the great ways to use that watered-down approximation of Shakespeare is to reveal how much the language lacks in comparison to the original. For example: “or to fight against all those troubles” just doesn’t have the same epic quality as “take arms against a sea of troubles.” Have students examine the imagery, diction, and figurative language in each version. Let them see for themselves why there’s no substitute for the real thing. Make It Live: Find tidbits of action in these soliloquies and bring them to life as miniature stage plays. How might one act out the first five lines? Once the plays are over, connect each back to the language of the soliloquy. Now there is a concrete anchor for all of Hamlet’s abstractions. Dan Bruno has been a high school English teacher for nine years. He has a Master of Education in Social Foundations of Education from the Curry School of Education at the University of Virginia. He also has a National Board Certification in Adolescent/Young Adult English/Language Arts. In July 2014, Dan was a participant in the Folger’s Teaching Shakespeare Institute. He currently lives in Pennsylvania with his wife and two sons. In this special series we’re calling “Inside the Classroom,” we’ll follow middle school teacher Gina Voskov and her students as they embark on a Twelfth Night unit. Today, it’s all about pre-reading—check back for notes from the group throughout the learning process. I am so pleased to introduce Won Jae, Lois, and Alexandra, three of my 7th grade English students. As you’ll see, these students have a wide range of experiences when it comes to engagement in English, comfort with public speaking/performance, familiarity with Shakespeare, and with the English language. My challenge is to make the story and language accessible (and hopefully enjoyable and meaningful) to everyone. 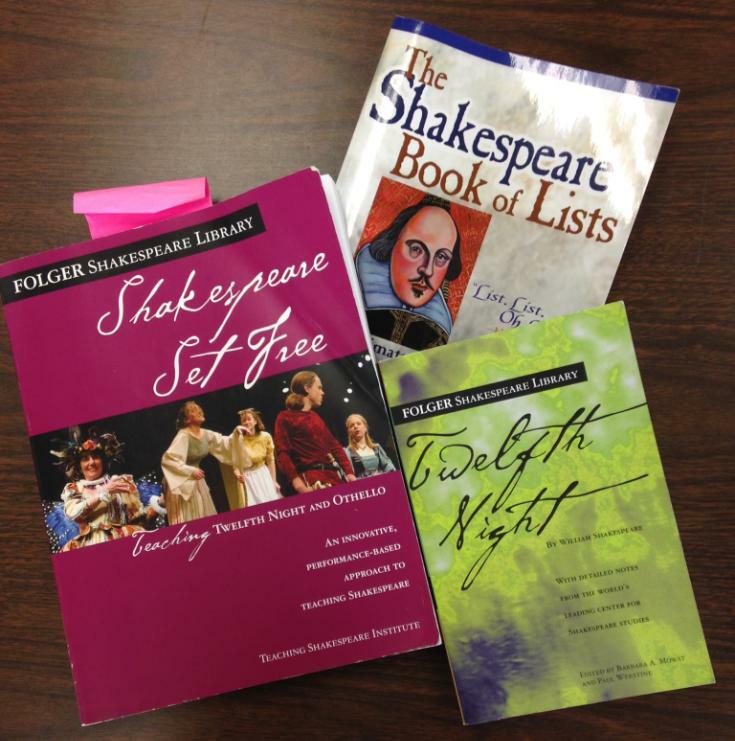 Shakespeare’s works were formally added to our 7th grade English curriculum three years ago and the Shakespeare unit has quickly become a favorite for both teachers and students because we use the Folger approach. In two weeks, we will begin our study of Twelfth Night, a play I really love but have never taught before. My colleague and I will be using the Shakespeare Set Free materials for the play as well as other performance techniques I learned at the 2012 Teaching Shakespeare Institute. This first post is an introduction the students have written about themselves and a brief overview of their thoughts about learning Shakespeare and studying Twelfth Night. I suspect the concerns they share with you will mirror the concerns many of your students have about learning the language. A second post will follow, mid-unit, where the three will be able to share specific activities that challenged them the most to learn. The final post will be a reflective piece after their performance project has ended. It is my hope that my students will be able to see growth in confidence, skills, and excitement as we use the Folger approach to studying this play. It is truly a joy to be able to share these students’ words with you, and I hope you’ll check back in on their journey through our unit. It’s Tech Tuesday, everyone! Looking for a digital image of Paul Robeson’s promptbook for Othello? Ever wonder what a Pinterest board for The Tempest would look like? Do you want to trace the uses of the word “fair” across all of Shakespeare’s works? Would you like to see a picture of Titus Andronicus pie? Check out these free, fun-to-explore web tools that bring you and your students into the world of the Folger—and Shakespeare’s words. Pinterest –Folger has over 45 boards: 1 for each play, plus others on the sonnets, Shakespeare and love, and images of Shakespeare. Podcasts – Listen to free poetry readings, interviews, and powerhouse lectures on data-mining Shakespeare and Shakespeare in American life. Use clips in your classroom, and don’t forget to click on “More Folger Podcasts”! Folger Digital Texts – The Folger editions you know and love are now online, for free (minus the glosses you’re used to seeing on the left-hand pages of your paperbacks). They’re made for you and your students to read, search, cut, paste, and manipulate for classroom activities like editing exercises, performances, and research tasks. 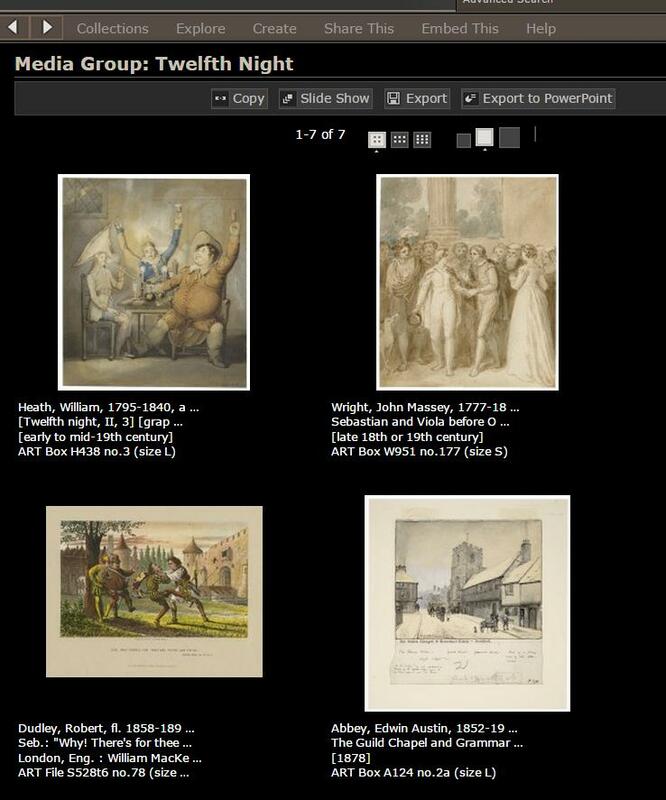 Luna Digital Image Collection – Students can create their own “media groups” for particular plays, poems, or essential questions. Or try writing a document-based question that focuses on one item from the Folger, home to the world’s largest collection of Shakespeare and to major collections of books, manuscripts, and works of art! Once you’ve tried out these resources, let us know how you and your students are using them! Thanks, teaching colleagues, for sharing your responses to our last post! From technology to performance, here are some of YOUR suggestions for getting started with Shakespeare. Enjoy! Last year the following worked beautifully to engage students with the Prologue to R&J. Start off with pairs saying the same sentence but alternating which words they stress. For instance, I would say “I want to go to the movies” with my partner saying “I want to go the movies” and so on. After the demo, students are given some fun sentences and practice with partners. Next, I have the prologue divided into its fourteen lines printed largely onto cards. The students practice at their tables saying the line with varying emphases. Then, fourteen students stand in front of the class in order of the prologue lines and each student recites her line. Voila! The class has read the Prologue and can move on with familiarity to paraphrasing it. This activity can be used as a way to instruct students about the function and delivery of a chorus as well. Here’s how I introduce Shakespeare’s language. 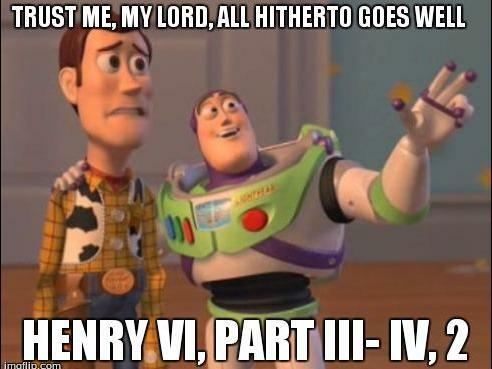 I give students Shakespeare quotations and they make memes using this website.